Datacasting is the transmission of private data over broadcast television transports like terrestrial, cable, and Satellite TV. Datacasting securely delivers computer files, alerts, commands, and streaming audio or video to any number of receivers. Special receivers are used to extract the data and share it with servers, PCs, tablets, TVs and mobile devices. Standard consumer TV receivers ignore datacasting transmissions. Do you need to deliver data to hard to reach places? Do you need to deliver data to hundreds, thousands, or millions of locations all at once? Is it important that your data is delivered quickly and securely? Are traditional networks such as cellular, cable, or fiber too expensive or unavailable for many of your destinations? If you answered yes to these questions, datacasting may be a solution for you. Datacasting technology is used to transmit computer files over broadcast television transports such as terrestrial, cable, and satellite TV. By nature, datacasting is a one way multicast transmission, making it very efficient at delivering large files to a large number of destinations. However, datacasting can also be used to deliver smaller files such as commands and alerts as well as streaming audio/video. Targeted delivery to a select group of receivers is also possible. Software updates to TVs, set top boxes, media players, and other devices. West Pond’s FlexStream Datacasting System can support any of these and more. While many applications work with off the shelf equipment, most require some level of application specific integration. We provide turn-key solutions leveraging our existing commercial products to expedite development of custom datacasting networks. Most datacasting applications are easily associated with a transmission type. For example, datacasting to receivers in a country that relies on satellites for TV content distribution would obviously use satellite transmissions for datacasting. Transmitting to multiple countries might use satellite or a hybrid solution while and application that focuses on a single city may find terrestrial broadcast as the most economical solution. In any case a business relationship must be established with the entity that owns and manages that transmission. In some cases this is a state, in others it is private business. West Pond can provide some guidance on these matters, especially for terrestrial broadcast within the United States. Below is a brief description of each type of datacasting, its strengths and weaknesses, and what technology is required to enable it. Terrestrial broadcast transmissions are commonly used for digital TV delivery in urban areas throughout the world. The antennas are small, portable, and easy to aim when required. The transmission standards used in each country vary, but the fundamentals for datacasting are the same. 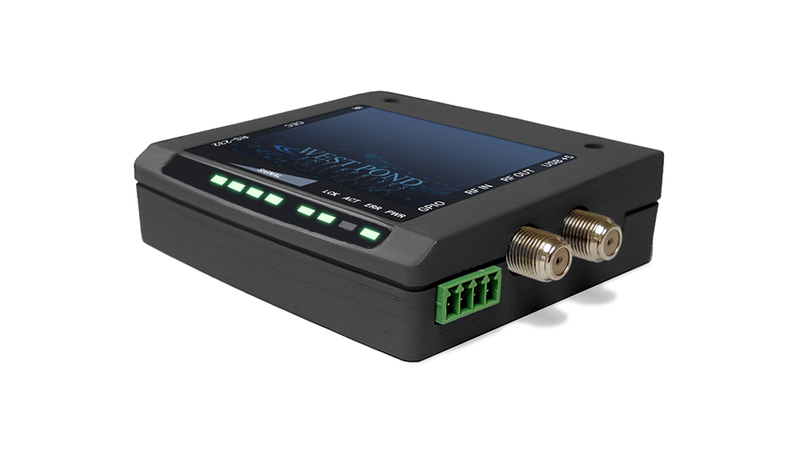 The West Pond datacasting transmission equipment supports most international standards. A typical terrestrial broadcast transmitter can deliver television and data to a 300 – 500 square mile area. The reach of any given TV transmitter in the United States has been modeled by computer and the reception data is available via websites such as https://tvfool.com. 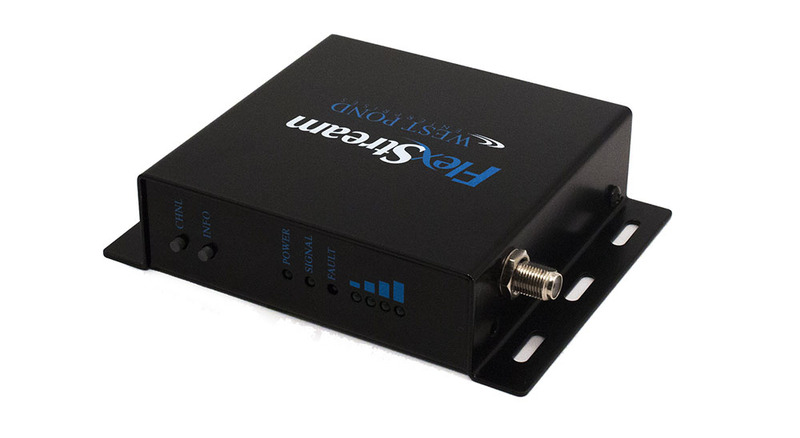 These sites provide a useful tool for installers wishing to predict reception at any given address in the U.S.
Datacasting via terrestrial broadcast is enabled by installing the West Pond MX-400SR datacasting gateway and related peripherals at the TV station master control facility. This device converts file data and streams into broadcast TV compatible transport streams. The transmitted data is received by terrestrial datacasting receivers which can display the content on the TV or share it with other devices over WiFi or LAN networks. Additional transmission equipment may be required depending upon data types and sources. 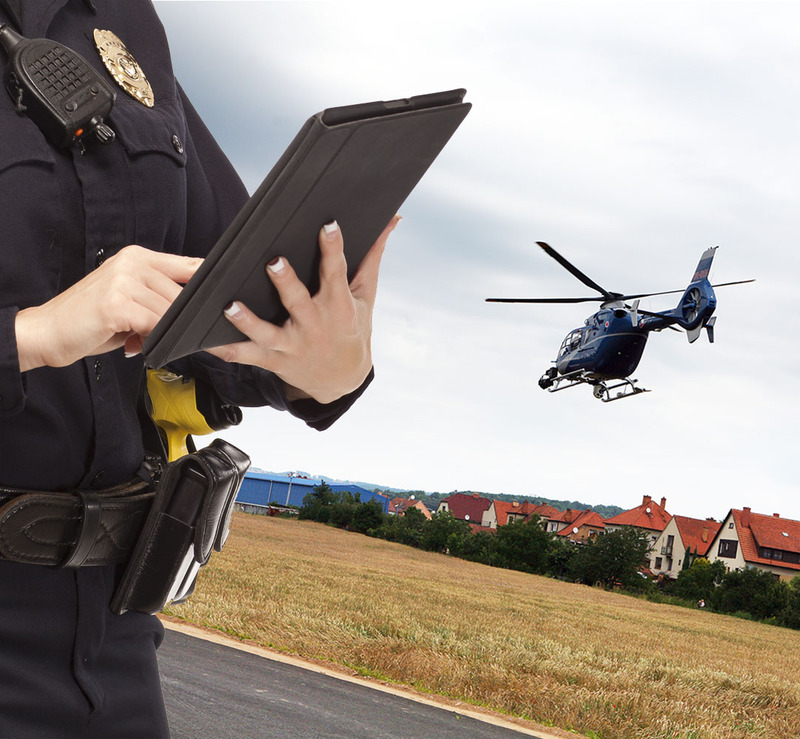 Typical terrestrial datacasting examples include: First responder public safety media, software updates, digital signage content, regional alerts. Satellite transmissions have the widest footprint and therefore the largest reach of all broadcast transmissions. Satellite receivers typically rely on dish antennas, which vary in size depending upon the location and type of satellite used. An existing satellite dish can often be utilized simultaneously by both the TV and the datacasting receivers. DirectTV and Dish Network transmissions are unique to the US and are not available for third party datacasting. Standard DVB-S or DVB-S2 satellites are available in the United States, but not commonly used for TV reception. Many other countries do not have cable TV or Terrestrial TV and therefore rely solely on DVB-S/S2 transmissions for TV reception. These countries are good targets for DVB-S and DVB-S2 datacasting. To enable a datacasting application, West Pond will outfit the satellite uplink facility with an MX-400SR. This device converts file data and streams into satellite compatible transport streams. The transmitted data is received by modified DVB-S/S2 satellite receivers which can display the content on the TV or share it with other devices over WiFi or LAN networks. Additional transmission equipment may be required for depending upon datatypes and sources. Typical satellite datacasting examples include: State sponsored alarms and alerts, global media newspapers, studio-to-theater movie media, and religious material for missions. Hybrid satellite / terrestrial TV datacasting networks combine the reach of satellite with the simpler antenna technology of the terrestrial broadcast. 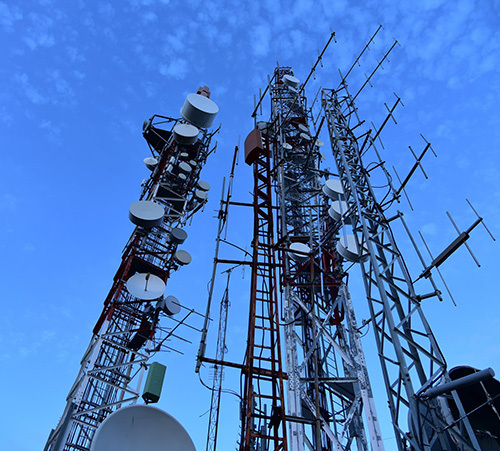 This type of network is very beneficial in large countries that require a large number of terrestrial broadcast transmitters to reach the entire population. This network can be provided by creating a satellite datacasting network and outfitting the terrestrial broadcast facilities MX-400SR with a satellite receiver module. Typical examples of hybrid networks include: software updates, state sponsored messaging, and digital signage media. In-house cable TV datacasting is used to transmit computer files and commands to FlexDK enabled devices on any in-house cable TV network. This capability is a feature of the FlexStream MX-100CC, MX-400HY, and MX-400ST smart headend systems. It is used to deliver files and commands to West Pond devices, such as the RX-50 display controller, or third party devices enabled with the West Pond FlexDK. Unlike traditional datacasting, this transmission is optimized to deliver data to small, addressable groups, or individual receivers. Common applications include stadium display controls, digital signage media distribution, and hotel TV management. For more information on this type of datacasting, please visit West Pond’s hospitality and stadium solutions web pages. West Pond’s FlexStream datacasting transmission technology supports both standards based transport protocols and proprietary protocols. Standards based are used only when compatibility with a third party receiver is required. The proprietary solutions are able to adapt to the needs of a specific application, thus making them more efficient, lower latency, and capable of transmitting a wide variety of content. Our equipment supports the following features. Carousels are used to convert files into data streams before they are inserted in the DTV transmissions. The datacasting receiver will convert the data stream back into files for use by devices and applications at the destination. West Pond has developed carousel technology that is extremely efficient so you can get the most out the allocated bandwidth. West Pond’s FlexStream carousel technology can be configured to transmit urgent alerts with such low latency that it can be used for to distribute Tsunami, Fire, and even Earthquake alerts. West Pond supports standard based and proprietary forward error correction algorithms. West Pond’s FlexStream datacasting system delivers signed data to ensure that receivers are not duped into accepting data from a foreign source. A targeting system gives the datacasting provider control of what receivers will accept the data transmitted. West Pond’s FlexStream datacasting system allows multiple datacasting providers to share the same equipment within a satellite uplink or terrestrial master control facility. This is a broadcast facility friendly feature that gives station managers and engineers the ability to enable new datacasting applications without adding new equipment to their broadcast facility. West Pond’s FlexStream MX-400SR interfaces with the FlexStream IO software embedded in the MX-400IO or third party hardware. This feature regulates the bandwidth allocated to the video encoder in real time, allowing the datacasting subscriber to fully utilize the bandwidth that is not actively being used by the file transmission carousel. The MX-400IO extracts video from IP security cameras or PCs and consumer electronic equipment using integrated HDMI, Composite, Component, and S-Video ports. Standards based encapsulation of UDP/IP data streams. Receivers convert datacasting transmissions back to UDP/IP data streams for LAN based redistribution. Software Development Kit (SDK) for customers developing their own receiver devices. These devices provide a bridge from datacasting transmissions to LAN networks. Computers and mobile devices with access to the LAN can utilize files and streaming media transmitted via the datacasting network. These devices are Terrestrial datacasting receiver routers with a cell modem gateway. The cell modem provides a return channel for reporting status, proof of play, and other low bandwidth uses. These devices integrated an SDK which enabled them to receive software updates and other data via datacasting over terrestrial datacasting. These devices integrated the FlexDK SDK which enabled them to receive software updates, channel maps, and media files. These devices were enabled with the FlexDK to receive HTML and related media files which are integrated with live broadcast video to create a managed digital signage display. These devices listen to an RF channel for receiver specific commands that will trigger control of the display to which they are connected. For example, power on, power off, channel, volume, etc. These devices activate mechanisms when a specific alert is received. The mechanism may close a gate on a bridge, a gas valve, or even a firehouse door. They are flexible in design to allow for the widest range of uses. 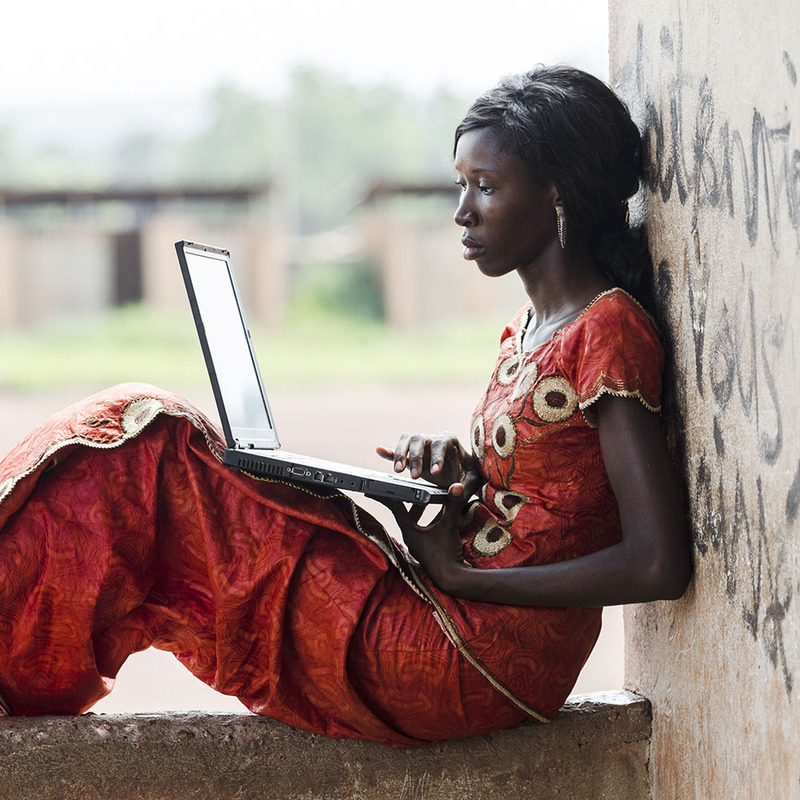 These devices are used to receive and distribute HTML and related media received via satellite datacasting transmission to WiFi connected devices such as PCs and mobile phones. Using USB tuners, these devices are enabled with a software application that receive terrestrial datacasting files and streams and present them to the user. These devices are enabled to receive datacasting files using an app that was installed via USB. The AP utilized the TV hardware to gain access to the datacasting transmissions which were converted to files for access by users of the device. These devices receive alerts, validate their contents, and distribute warning to other devices on the LAN that subscribe to a message service enabled provided by the receiving device. This device receives alerts and displays the message on a TV or via other means to alert anyone viewing or near the device. West Pond’s FlexStream datacasting solution provides a number of tools that make installation, integration, configuration, and management easier for transmission personnel and datacasting subscriber personnel to access and control the system. Access and manage the device from any network connected device via one or all of the MX-400SR GigE network ports. Use this UI to check status, configure the system, enable datacasting providers, limit and prioritize bandwidth allocation, and control bypass state. These provide transmission facility personnel with a rich and easy to use configuration and status information including full motion video when available. This (terrestrial only) tuner is used by the FlexStream datacasting system to verify transmission of provider data. This cloud based service is used by transmission facility personnel to access the Web UI from any connected device at any time. The FlexStream datacasting system manages a carousel for delivering software updates and other maintenance files to FlexStream enabled datacasting receivers. These APIs provide a secure connection and access control by transmission personnel, that enables provider software to create carousels and data streams on the FlexStream datacasting system. This FTP service provides a simple interface for datacasting providers who do not wish to actively control the carousel configuration. Files dropped into the FTP hotfolder are transmitted via carousel and replicated on receivers. West Pond provides an optional content management system for distributing content to West Pond digital signage players. Combine the MX-400SR with the MX-400IO to deliver compressed, adaptive bitrate, AV content to your receivers. 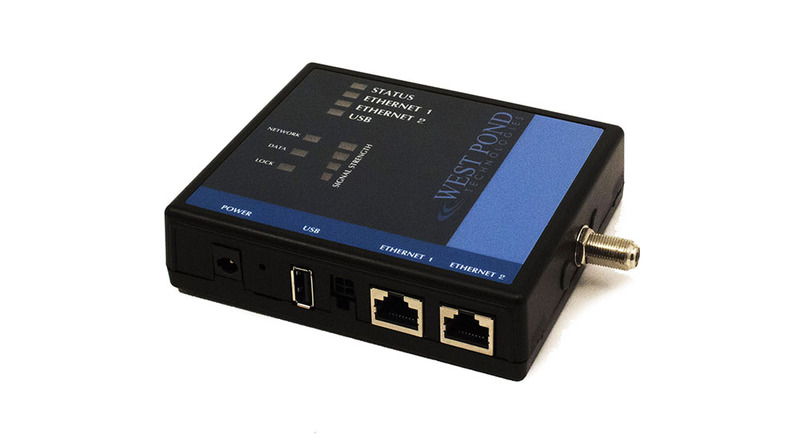 This software development kit is used by West Pond customers who wish to develop their own datacasting receiver or integrate datacasting reception capabilities into an existing device such as a commercial TV or digital signage display.